In the words of some tourney commentator, "We are impatient. Impatience ruins the game." I finished 9th grade and yet I feel so empty. Hookin' up words and phrases and clauses. Second semester started. Let's go. Aaaaaannndd the first semester of 9th grade is over. Are you a furry, Luig? Just because he has a Sonic character as an avi doesn't make him a furry. Think about that before bluntly asking someone a question like that. my first day of high school starts in 2 hours. let's go I guess. 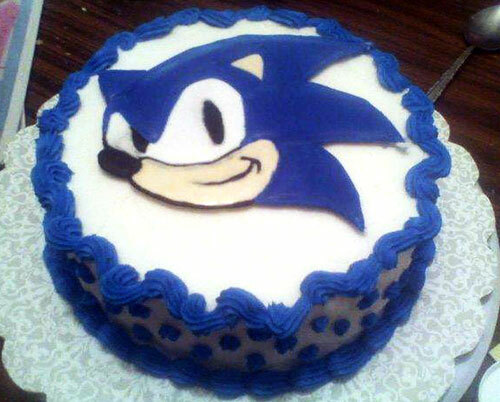 Found a good cake for you. It's surreal knowing that in 3 months I go to high school. I didn't know that. lol. But I probably should have done that a while back. I am now tracking your every move. How do you feel, Luig? Is your sig legit? 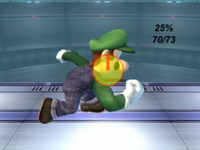 I mean, is that hitbox unedited? I want to believe his range isn't THAT ridiculous. Oh, so that it isn't quite THAT far from his body in-game. That's a relief. BTW, Blue explained it for me. You have to be premium to use the Disco Room, right? But that's why it's being treated as a service. You get new features and enhancements with major updates throughout the year. It seems cool, but I'll stick with the 2000-W7 era until I have to. That avatar is perfect, dude! RIP technicolor. You will forever be remembered. A certain part of your title is kind of a huge thing in GF. It's ok, I know it wasn't you, now. Wait, you joined this year? For some reason, I thought you had been on Smashboards for at least 1 year. Why? Also how? I'm 13. Let your dreams be dreams.